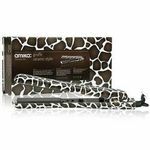 I love this straightener it straightened my hair and lasted all day in humidity no problem! I've had this iron over 7rs , using it every 3 days. It's been the best hands down. I'm just now needing to get a new one . The Chi Turbo 2" Ceramic Flat Iron delivers professional salon quality straightening right at home! I have several different CHI straighteners and they are my favorite! CHI's irons are always extremely well made and always do the best job straightening hair. I love the 2" Ceramic plates.This one is a great time saver! 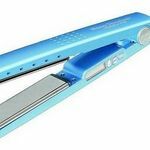 It is perfect to use if you have really long or thick hair because the 2" width of the flat iron allows you to straighten much bigger chunks of hair at once. The CHI Flat Iron heats up really fast and does not lose it's heat while you're in the middle of straightening your hair either! The turbo heat works fantastic and helps the straightener heat up within thirty seconds! Effectiveness This is a super dependable and very effective hair straightener that heats up super quick and stays consistently hot thanks to the turbo heat feature. CHI is amazing! Durability CHI is the most reliable name out there for flat irons. I absolutely love them and I own three different CHI irons! I decided to purchase the CHI Turbo 2" Ceramic Flat GF1539 after using one that my friend had, it was amazing. My hair looked amazing after I tried it out and I was hooked and had to have my own. I had purchased the original CHI flat iron before for my daughter and it not last a year before it got a short in the cord. This CHI has lasted for many years and I am still using it today. I have very hard to manage hair and this is one that really worked a miracle on it. The way it heats up so fast amazed me, by the time I got my hair ready to flat iron it was ready. If you are looking for a flat iron I highly recommend for you to try this one, you will not be disappointed. 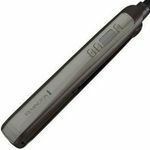 Effectiveness If you are looking for something for hard to manage hair this CHI Flat Iron will work for you. I have not found another one that works as well as this one. 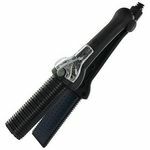 Durability I love the durability of this CHI flat iron, it is the best one I have ever purchased. The fact that I have had it for so long and it is still working is a big plus to me. No heat is good for your hair, but when i use this i can over look it. Just make sure you use heat protector, and make sure you ;let it dry before applying heat, like you do with everything. 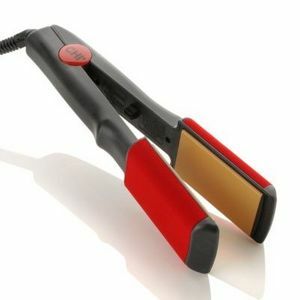 Also with the material along the outside of the barrels you can curl you hair way easier with this type of flat iron. Effectiveness Makes my hair straight with one go over, and curls great as well. Durability I have had this for years and have yet to notice and marks or broken parts, even with how many times i have dropped this. I am really impressed with this product. It does what it claims too. I've used others in the past but I won't change brands in the future. I was introduced to the product at my hair stylists. I'd really like to get the smaller one for all the times I cut my hair shorter. I've had this iron at least 7 years now and it has almost stood the test of time. 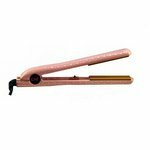 Other flat irons usually fail or fall short within the first year they are purchased. Usually there is heat loss. But this iron has not lost any heat yet. I use it for several different textures of hair and all clients have been pleased with the results. This product is one of the best flat irons I have ever used. The price is affordable ( I bought mine at Marshall's) and my sister had gotten hers at Marshall's also. I currently own an old flat iron and it pulls every single hair on my head! It is frustrating to try to get the look of silky hair when you know it's breaking it off at every sweep through your hair. This flat iron is amazing on all levels and get very hot. be careful with kids!